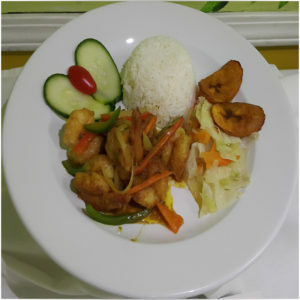 Sweet tender shrimp, cooked in a medium heat curry sauce until soft and juicy. 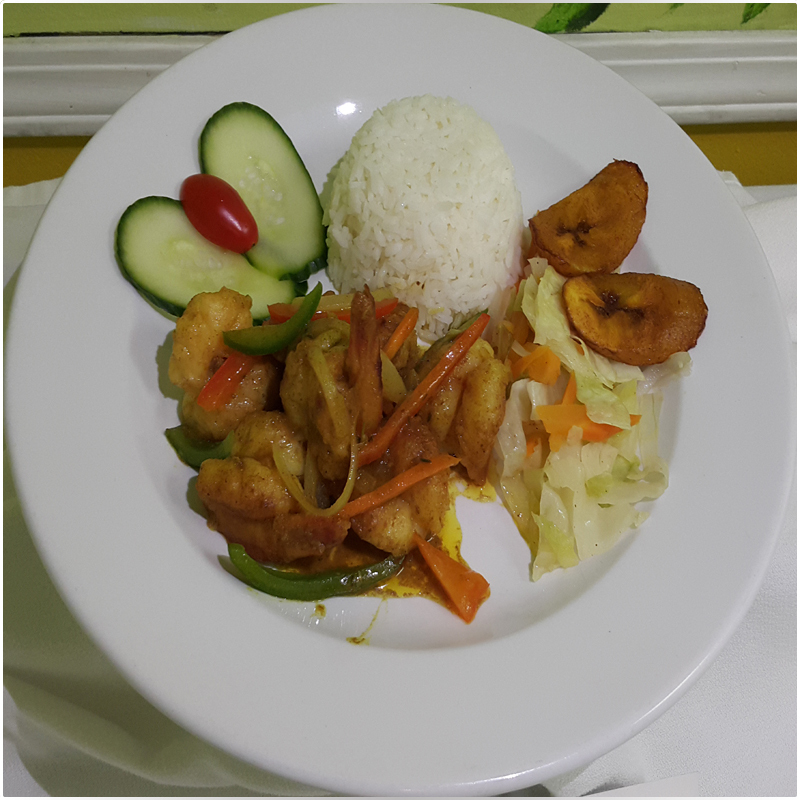 Served with rice, steamed vegetables, plantains. Medium hot, savory slightly sweet and tender.